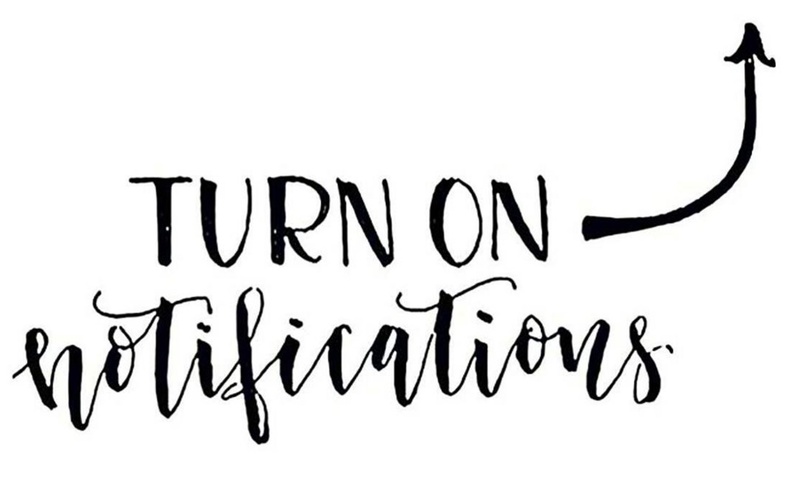 If you’ve visited Instagram this past couple of days, you might have seen some of the people you follow urging you to turn on notifications for their posts. Singers, high-profile models, food bloggers, and artists all cited concern that you won’t get to see their pictures after Instagram changes its chronological feed to an algorithmic one in the near future. In the panic of the moment, users of the photo- and video-sharing app appear to believe rumors that Instagram won’t wait a second longer and the new feed will be launched today, completely changing the way you see posts when you open the app. The general concern among influencers on the platform is that their view counts – and revenues – would drop if their sizeable audiences will no longer see their product and service promotion posts. God forbid we see less of Kardashian’s products in our feeds. In the middle of the general confusion, influencers used the convenient opportunity to ask their followers to subscribe to their accounts. This will prompt an alert to your smartphone every time they post on Instagram, so there’s no chance you could miss out. But according to Instagram, the algorithmic feed is nowhere near ready to be rolled out universally. At the moment, the feature is under testing in small groups, and the company will make the necessary tweaks in the algorithm in light of the feedback it receives. Instagram users shouldn’t be this surprised about the algorithmic feed. It’s clear that social media apps want to increase their advertising businesses, especially as more users join networks and add to the volume of content available. Facebook started using the algorithm in 2009, generating a similar backlash among its users. Twitter also began testing a more curated version of its timeline by introducing a new set of curated tweets at the top of users’ timelines. By introducing an algorithmic feed, Instagram wants to make sure you get to see the best content posted while you were away from the app. Don’t be concerned about missing out on your favorite food blogger, as your ‘likes’ and comments will probably teach the algorithm what you’d like to see more of in the future.